ZOEVA’s high-performing brushes not only look beautiful, but also are considered among the best in the business. Plus, each brush has its name written down the side, so there’s no head scratching as to what it’s meant for (hurrah!). Their Wing Liner Brush (317) has a specially slanted brush head for creating statement cat’s eye flicks. The ultra-fine bristles pick up just the right amount of cream or gel liner ensuring application is spot on. This specially slanted eyeliner brush is super precise and can create a stunning 60s-inspired liner look. 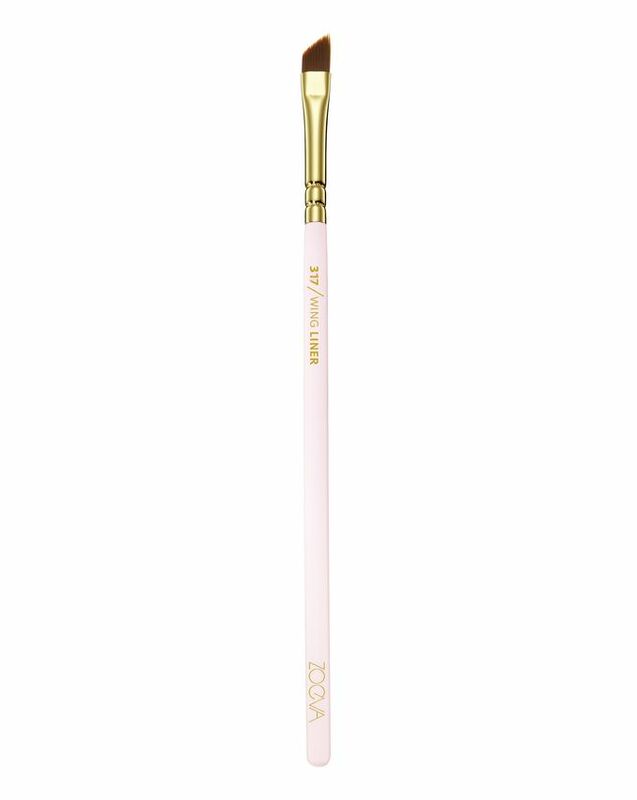 It features a chic blush pink handle, golden ferrule and vegan taklon bristles. ZOEVA’s collection of brushes are beloved by professionals and make up devotees alike, each one delivering a flawless finish so you can boss even the trickiest of make up techniques. Get the perfectly winged lid line with our 317 Wing Liner. Pick up a small amount of your favourite gel or cream eyeliner product and glide along your natural lash line in a steady stroke.